Walt Disney Animation Studios presents a chilly twist on one of the most humorous and heart-warming stories ever told. 'It's the Best Disney animated movie in almost a decade. Every inch an instant classic.' MSN Fearless optimist Anna sets off on an epic journey - teaming up with rugged mountain man Kristoff and his loyal reindeer Sven - to find her sister Elsa, whose icy powers have trapped the kingdom of Arendelle in eternal winter. Encountering Everest-like conditions, mystical trolls and a hilarious snowman named Olaf, Anna and Kristoff battle the elements in a race to save the kingdom. Bring home Frozen on DVD - It's dazzling fun for the whole family. Original Theatrical Short - "Get A Horse"
Delivery was super quick on this item. This is also a show that can be watched again and again by all ages. Perfect for those winter nights snuggled inside. This was a fantastic purchase, my grandchildren just love watching Frozen over and over. When there not watching it their dancing around singing the songs, I think this was a terrific buy. Brilliant - I know why kids love it! Really lovely movie. Kids loved it and sang along . 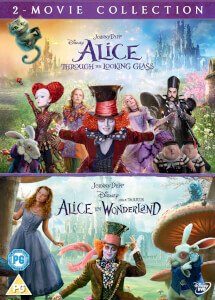 A simple stunning magical film for all the family. The animation, music and heartfelt story will leave you stunned!!! I saw Frozen at the cinema with my 5yr old grandson and we both enjoyed it. When my order arrived we again sat and watched it together and again both thoroughly enjoyed it. Highly recommended. Obviously appeals to all ages and both boys and girls.